Independence High School students host Water Walk, a community fundraiser to support education and small business development in Kenya, Africa called We Share Solar Suitcases. The students experienced the hardships of Kenyan communities firsthand. They walked in the footsteps of a local “mama” to a river to collect water for her family. Water Walk was created to raise awareness about the challenges families face accessing clean water. 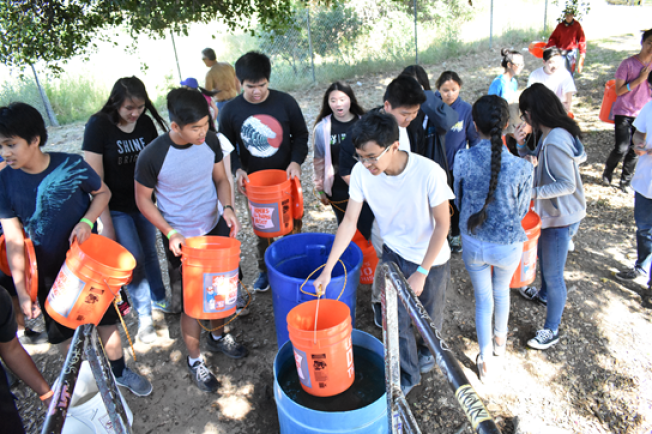 Students encourage the Bay Area community to participate in a 1-mile course, from a creek to a local garden in solidarity with the millions around the world who walk miles each day for water. Participants will be presented with facts about water and its usage in California and around the world. At the end of the walking course, participants will take water facts tests and win prizes!